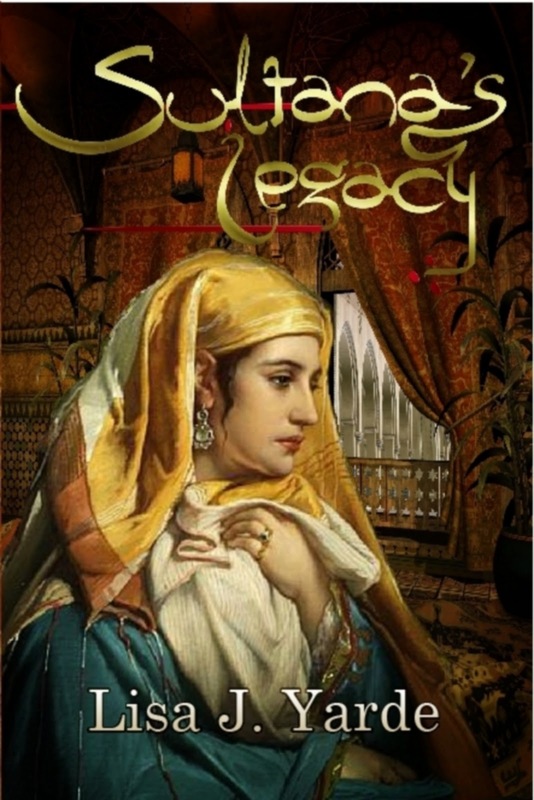 I wrote Sultana’s Legacy and its prequel, Sultana, after many years of research into the lives of the last dynasty of rulers who held the southern half of Spain, the Moorish family of Banu’l-Ahmar, alternatively known as the Nasrids in a later period. The second Nasrid Sultan, Muhammad II was born in the Arjuno region shortly after his father declared his suzerainty in 634 AH or AD 1237. His people called him al-Fakih, “the jurist” or “Lawgiver” for his swift justice. During his reign, he added to his father’s work at the Alhambra. His first cousin, Abu Said Faraj ibn Ismail, became a trusted and loyal advisor. Abu Said Faraj also married the Sultana Fatima, the daughter of Muhammad II (664 AH or AD 1265). Muhammad II created the Diwan al-Insha, his chancery, an institution that lasted almost until the end of the Sultanate. 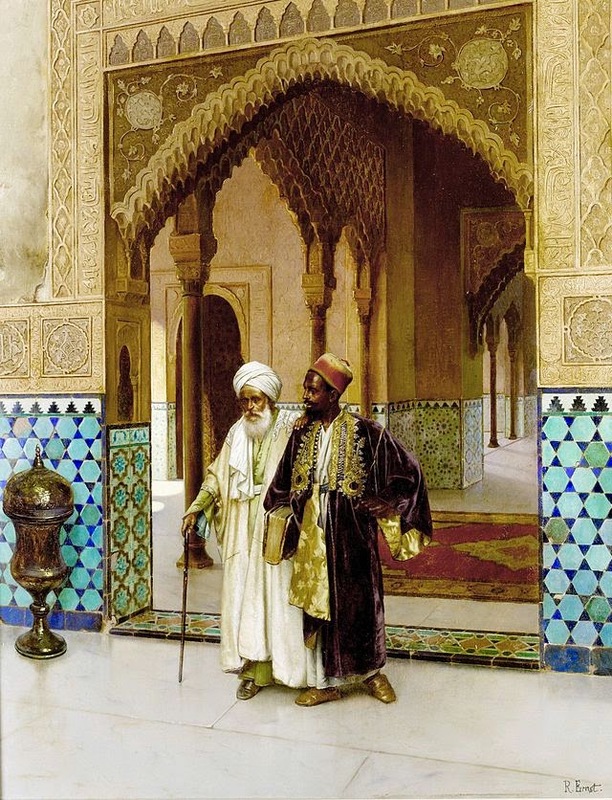 It produced some of the most brilliant thinkers in Moorish Spain’s history, including Ibn Ali ibn al-Jayyab, who served the Sultans Muhammad II, Muhammad III, Ismail I, Muhammad IV and Yusuf I, until his death in 738 AH or AD 1349. Ibn al-Hakim and Ibn Safwan were also ministerial members of the council. Sultan Muhammad II had at least three sons, Faraj, Muhammad, and Nasr. He may have married a princess of the Marinid Dynasty to ensure peace with his erstwhile allies, although there is no mention of this union in recent research. Muhammad II had two known companions in life. His wife Nuzha was a paternal cousin, the daughter of Ahmad, uncle of Muhammad II. Nuzha became the mother of Muhammad II’s children, a boy also named Muhammad who would succeed his father and Fatima, the heroine ofSultana. 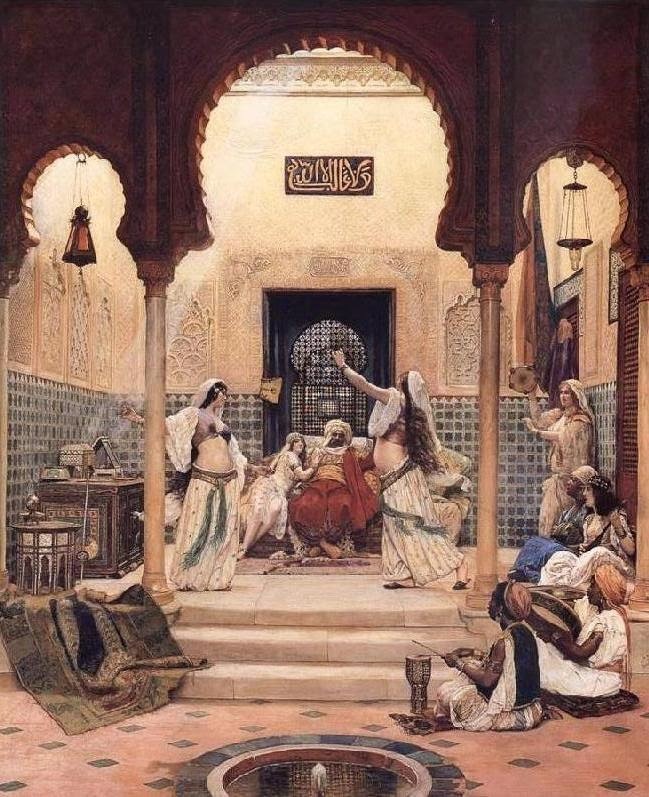 Muhammad II also had a relationship with a woman named Shams al-Duha, a Christian concubine, who was the mother of his daughters Aisha, Shams, Mumina and another unnamed daughter who married Sultan Abu’l-Rabi Sulayman ibn Yusuf of the Marinid Dynasty (reigned 708 AH or AD 1308). Muhammad II and Shams al-Duha also had two sons, Faraj and Nasr, the latter who would also gain the throne in future years. Sultan Muhammad II died 2 Sha`ban 701 AH or April 8, AD 1302, after his son, Abu Abdallah Muhammad allegedly ordered Muhammad II poisoned, on the eve of a new campaign against the Christian kingdom of Castile. His doctor attributed his death to a poisoned cake that his heir sent to his house. Sultan Muhammad II was approximately 68 years old. The account of his death in the narrative is from period sources. There is no evidence Muhammad II and Faraj had any disagreement after the Battle of Tarifa. I don’t know whether Faraj was present at the murder of Muhammad II. The speculation about Muhammad III as having poisoned his father came from the doctor of Muhammad II but remains unverified. The third Nasrid Sultan, Muhammad III was born in 655 AH or AD 1257; a recent source gives his exact date of birth as the third day of Sha’ban in 655 AH, which corresponds to August 15, AD 1257. (Newer research indicates a birthdate in AD 1258) During the first few weeks of his reign, Sultan Muhammad III negotiated peace treaties with the kingdoms of Castile and Aragon. The first treaty required the Nasrids to acknowledge their state as a vassal of Castile. Sultan Muhammad III was a detested figure and many of his own supporters eventually began to resent him. His erratically disturbing nature soon destroyed peace with Castile and Aragon. Sultan Muhammad III inherited the refined tastes and upbringing, shared with his sister Sultana Fatima and their brother Sultan Abu’l-Juyush Nasr I. He combined his interests in learning and art with a sarcastic and cruel streak that made him unpopular. The references to his insults of his court poet at his own coronation and his cruelty to the prisoners in the Alhambra’s Alcazaba are from period sources. While he built up portions of the Alhambra, including the Palacio del Partal by day, he devoted his nights to reading and studying. However, his sadistic nature overwhelmed his heritage of learning. The feud with the Marinids that had begun during the reign of his father Muhammad II plagued Sultan Muhammad III. A revolt occurred on 1 Shawwal 708 AH or March 14, AD 1309 and Sultan Muhammad III went into exile, forced from his throne to the city of Almunecar. He died in 709 AH or AD 1310, after an abortive attempt to restore him to power failed. He drowned in a pool. Sultan Muhammad III was approximately 54 years old at the time of death. (Newer research indicates a death date of January 21, AD 1314, which corresponds to 3 Shawwal 713 AH at the age of 56 - I'm not sure why he might have remained alive for so long given circumstances outlined below.) No record survives of any possible children. Historians accuse his successor Abu’l-Juyush Nasr I, of ordering the death of Sultan Muhammad III. 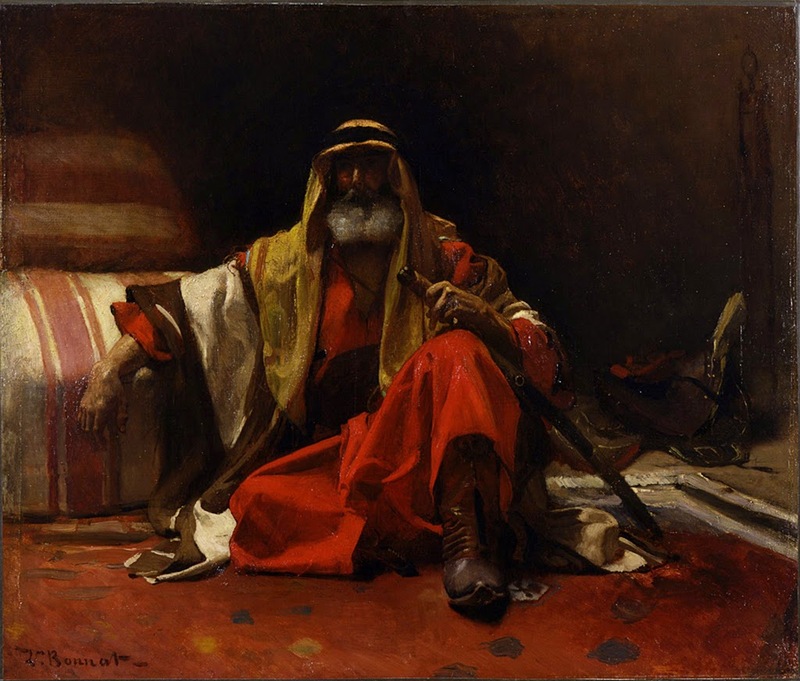 I speculated about the nature of Muhammad III’s relationship with his father Muhammad II, his full-blood sister Fatima and her husband, their cousin Faraj, as well as Muhammad III’s half-brothers Nasr and Faraj, but the exact nature remains unknown. However, Fatima's husband Faraj did have an evidently good relationship with his brother-in-law; Faraj helped Muhammad III claim Ceuta on the North African coast in AD 1306. Muhammad III’s murder of his vizier Ibn al-Hakim, after the man had spearheaded the government due to Muhammad’s blindness, caused the dissatisfaction of the Granadine nobles who rose up against Muhammad III and forced him to abdicate in favor of Nasr, not any known plotting between the younger siblings of Muhammad III, Fatima and Nasr. Abu’l-Juyush Nasr who reigned as Nasr I, the fourth Nasrid Sultan, was the younger brother of Muhammad III. Sultan Abu’l-Juyush Nasr I was born 24 Ramadan 686 AH or November 2, AD 1287, the child of a union between Muhammad II and a Christian concubine named Shams al-Duha. 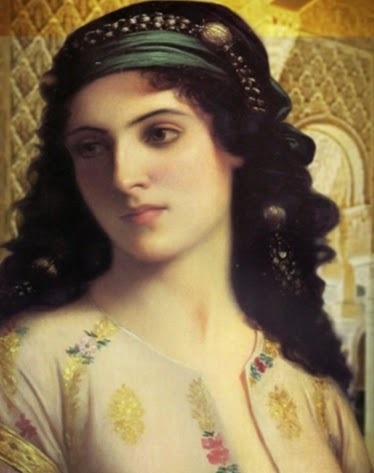 Nasr I had siblings of the half-blood in his predecessor and rival, Sultan Muhammad III as well as Fatima, the heroine of Sultana and Sultana’s Legacy. The full-blood siblings of Nasr I included his brother Faraj and sisters Aisha, Shams, and an unnamed woman who was the wife of Sultan Abu’l-Rabi Sulayman ibn Yusuf of the Marinid Dynasty. Nasr I continued the policy begun by his grandfather Muhammad I and paid tribute to the kingdom of Castile. Yet, during his reign, the Nasrids temporarily lost control of Algeciras and Ronda to the Banu Marin and Gibraltar to the Castilians. For his losses and troubles, the aristocracy did not support Nasr. They believed he was a secret Christian, raised in his mother’s faith. He preferred the clothing styles of Christians. He employed a minister, Ibn al-Hajj, as his vizier whom his detractors believed was a secret Christian, too. Around a year after a coronation, Nasr’s cousin and brother-in-law Abu Said Faraj, the governor of Malaga, rebelled against him. In 711 AH or AD 1311, the two finally signed a truce. Abu Said Faraj later disgraced himself in a treasonous alliance with the Banu Marin, an act that resulted in his loss of control over Malaga, which his son, Abu l-Walid Isma’il claimed. Abu l-Walid Ismail deposed Sultan Abu’l-Juyush Nasr I a year later. Nasr withdrew to Guadix where he later supported the army of Castile against his nephew Ismail at the Battle of la Vega on 7 Jumada al-Ula 719 AH June 26, AD 1319. Nasr suffered a stroke and died 6 Dhu al-Qa`da 722 AH or November 16, AD 1322. The Sultan was 36 years old. His nephew, Ismail, removed his body to Granada and re-interred him near the site of his grandfather, Sultan Muhammad I’s burial on the Sabika hill. The historical record provides no evidence that Nasr had sons or that any such offspring survived him. With the death of Nasr, the direct male line of the Nasrid Dynasty ended and shifted to the descendants of the Sultana Fatima. Nasr’s mother was not named Nur-al-Sabah as in Sultana’s Legacy, but rather Shams al-Duha, and he would have counted his younger brother Faraj as a sibling of full, not half-blood. I speculated that Nasr was blond, but history never provided such details. I don’t know if his mother hailed from Galicia or if he relied on Christian guards as his successors did. History has also never recorded his children, while I have speculated he had daughters. Abu’l-Walid Ismail, son of the Sultana Fatima and nephew of both Sultans Muhammad III and Abu’l-Juyush Nasr I, reigned as the fifth Nasrid Sultan. He was born in 677 AH or AD 1279. On his father’s side, he was a cousin of Sultan Muhammad II and second cousin of Sultans Muhammad III and Abu’l-Juyush Nasr I, as well as his own mother Sultana Fatima. On his mother’s side, he was also a grandson of Muhammad II, cousin to his own father, Abu Said Faraj, and nephew of both Sultans Muhammad III and Abu’l-Juyush Nasr I. When Ismail rebelled against Nasr, the citizens of Granada opened the main gate of the city, now the Puerta de Elvira to him. He besieged Nasr until his surrender on 21 Shawwal 713 AH or February 8, AD 1314. In the Battle of la Vega on 7 Jumada al-Ula 719 AH or June 26, AD 1319, Sultan Ismail I defeated King Alfonso XI of Castile. His troops killed the regents, Alfonso’s uncle Prince Juan (the murderer of Doñ Alonso Perez de Guzman’s son at Tarifa) and the King’s cousin, Don Pedro. He also raided along the border of Castile and Granada, taking slaves. He added significantly to the Alhambra complex and the palace of Generalife. After the Battle of la Vega, he built the Alcazar Genil, which functioned as a residence for the elderly women of the Sultan’s household. He also established the royal pantheon around the burial site of his grandfather, Muhammad II, perhaps to establish the legitimacy of his reign, by his descent through the Sultana Fatima. Sultan Ismail I fathered at least four sons, Abu Abdallah Muhammad, Ismail, Faraj and Abdul Hajjaj Yusuf. Ismail had three known companions in life, all of whom apparently began as concubines at his side. Alwa was the mother of Ismail’s sons Muhammad and Faraj, Qamar gave birth to the younger Ismail, and Bahar was the mother of Yusuf. Ismail died on 24 Rajab 725 AH or July 6, AD 1325, a victim of assassination (although newer research indicates the date of death as July 8, AD 1325). Ali, Faraj, and Muhammad, the three sons of his first cousin, also named Ismail (only son of the Sultan’s paternal uncle Muhammad, second son of Faraj and Fatima) stabbed him to death over a slave girl taken during a raid on Martos; apparently, the severest wound cut the carotid artery. Servants carried the dying Ismail to his mother Fatima’s chambers. The Sultan perished from his wounds, at 48 years old. His ministers ordered the perpetrators of the vicious attack executed. When Sultan Ismail I died, his eldest son Muhammad who was born in 715 AH or AD 1316 reigned as Muhammad IV and succeeded his father as the sixth Nasrid Sultan. I don’t know if Ismail schemed behind his parents’ backs to take Malaga from his father, or if at least Fatima knew what her son might do. In addition, there can be little but speculation as to whether he informed his mother of the plan to usurp the throne of Granada. Ismail did not marry a woman of Crevillente and have daughters with her. His three companions had names other than the ones chosen for Sultana’s Legacy. On his father’s side, Faraj was a first cousin and son-in-law of Sultan Muhammad II, cousin and brother-in-law of the Sultans Muhammad III and Abu’l-Juyush Nasr and cousin to his own wife, Fatima. When the Nasrids defeated the Ashqilula, Faraj became governor of Malaga, which his father had held until his death. He and Fatima lived there for years, during which they had as few as five or as many as seven children, including three unknown daughters, as well as Ismail and their second son, Muhammad. Faraj was devoted to Muhammad II, whom his uncle Muhammad I, raised him alongside. He suggested several reforms and programs that the Sultan’s court issued. His loyalty continued in the reign of Muhammad III. Faraj changed after his brother-in-law Nasr dethroned Muhammad III. The nobles of Granada approached him and begged him to depose Nasr, who they thought was an inefficient monarch, more interested in science, astrolabes, and astronomical tables, and a secret Christian. When Faraj heard of the capture of Muhammad III, he rebelled against Nasr and attacked him at Al-Atsha, in the Vega of Granada. Nasr lost his horse in a quagmire and ran to his capital on foot. Faraj besieged the city for several months until the influence of Fernando IV of Castile persuaded him to seek a truce with Nasr. Later, Faraj survived an assassination attempt, which many believed Nasr had ordered. In the end, Faraj lost power because of the discovery of a secret pact between Malaga and the Marinid Sultan, which would have allowed Faraj to claim the northern port of Chella in exchange for the wealth of Malaga’s taxes. His son Ismail usurped his father’s rule and assumed the governorship. He kept Faraj under close watch, first at the Gibralfaro, then in the castle of Cartama. After Ismail I took the throne from his maternal uncle Nasr, he had Faraj transferred to the fortress at Salobrena, where he lived out the intervening years until his death in 720 AH or AD 1320 at the age of 74 (newer research indicates a death date of April 24, AD 1320 or 4 Rabi al-Awwal 720 AH). Ismail had Faraj’s body removed from Salobrena and re-interred in the royal pantheon of the Alhambra, near the burial site of Muhammad II. When the Nasrid Dynasty ended, the last of the family exhumed the bones of all their ancestors and took them out of Granada, including Faraj’s remains. Faraj’s presence or the role he might have played in Alonso Perez de Guzman’s valiant but costly victory at Tarifa is uncertain, as is the relationship Faraj and Fatima had after suspicion about the murder of her father Muhammad II fell upon his son, Muhammad III, whom Faraj remained loyal to up until that man’s death. There is no evidence Muhammad II and Faraj had a change in their long-standing relationship. History will also likely never reveal how Faraj felt about his son Ismail’s betrayal and imprisonment of him, but the theory that he was willing to commit treason and give Malaga’s taxes to the Marinids remains sound, not an invention as Fatima supposes in the narrative. Fatima, the heroine of Sultana and Sultana's Legacy, lived in a decadent but violent world. She witnessed the reign of the first seven Nasrid Sultans. In her connections to them, she was granddaughter, daughter, sister, mother, and grandmother to some of the dynasty's most cultured and cruel men. I've often wondered, since chroniclers of the period tell us so little of Fatima's life, how she viewed the sudden changes that must have drastically altered the world around her. Fatima was truly a remarkable woman, a survivor. In writing about her, I hope the achievements of her family and her personal experiences will shed light on a lesser-known era in history and literature. Fatima did her duty as her grandfather Muhammad I commanded and married Faraj for political gain. History does not record anything about their marriage, whether it remained a political match or if they grew to care about each other. It also does not reveal anything of her perspective on the tragedies that embroiled her father, brothers, husband, and son. In writing about her, I have stayed as true to the sources as possible and to an understanding of human nature. Whatever the truth of her feelings, Fatima was a remarkable woman in a fascinating period of Spain’s history. She lived a cultured and refined life, in the manner of her father and her brothers. She was well-educated, like her father, and possessed an interest in study that extended to her role as tutor of her grandchildren. Fatima possessed no political power of her own, but the sources indicate she had some interest in the machinations of the court. She would have been familiar with its rituals, if not its administration also. She would have seen the men in her life issue edicts that would direct the course of more than Andalusia's history. She would have been familiar with all the cities in the map above, having made her home in Granada and Malaga. Several of her male relations, including uncles, brothers, and sons, would have governed each of those cities during her lifetime. Her view of the Alhambra would have been different from what visitors see today. Several parts of the complex did not exist while she lived or they were significantly altered after she died. The walls of the Alcazaba would have towered over her as a child. She would have also witnessed the construction of the Mexuar and the Generalife in later years. However, the Patio de los Leones and the Partal existed only after her death. Though born to privilege and power, Fatima would have learned all too easily that neither offered protection from tragedy and murder. She would have suffered the knowledge of her grandfather Muhammad I's fatal fall from his horse as a teenager. In her womanhood, the cruel poisoning of her father Muhammad II must have pained her deeply. She could not help but have been affected by the struggles between her brothers, the rulers Muhammad III and Nasr I. Her son Ismail I kept her husband Faraj under guard for the last seven years of his life and later, Ismail overthrew his uncle Nasr I and claimed the throne for himself. One can only assume how the turmoil between her husband Faraj and her brother Nasr in the later years must have torn her in two, as did her son Ismail’s cruel actions toward his own father and his maternal uncle, Nasr. Fatima must have been a woman capable of extraordinary love and forgiveness. After what should have been her greatest triumph as the mother of the monarch, Fatima personally witnessed another devastating blow as her son bled to death in her chamber from stab wounds inflicted by three of his cousins. When the kinsmen of Ismail I attacked him, his servants brought him to Fatima’s chamber, rather than his own. This gesture suggested, at least to me, the bond between Fatima and her son. She demonstrated further devotion to her family in the relationships with her grandchildren. She tutored them, especially the boys Muhammad and Yusuf. She did not overtly wield power, but another tragedy indicates the extent of her influence at court. When assassins murdered her grandson Muhammad IV’s prime minister, Ibn al-Mahruq in 729 AH or AD 1328, he died in her suite of rooms after delivering his usual report to her on the affairs of the Sultanate (newer research indicates an exact date of death for Ibn al-Mahruq as November 6, AD 1328 or 2 Muharram 729 AH, and some involvement by Fatima in the death of her grandson's chief minister, because two slaves in her household carried out the murder). Her legacy of wisdom flourished with the ascension of her grandsons, the Sultans Muhammad IV and Yusuf I. Eight years later, Ismail's son Muhammad IV also died by violence, murdered with a lance when he was only eighteen. His brutal assassination occurred in 733 AH or AD 1333, in his eighth year as ruler of Granada (the date of death is given as August 25, AD 1333 or 13 Dhu al-Hijja 733 AH). Despite this tragic loss, Fatima remained the steadfast matriarch of her family. She must have placed all her hopes for the future on her grandson Yusuf. 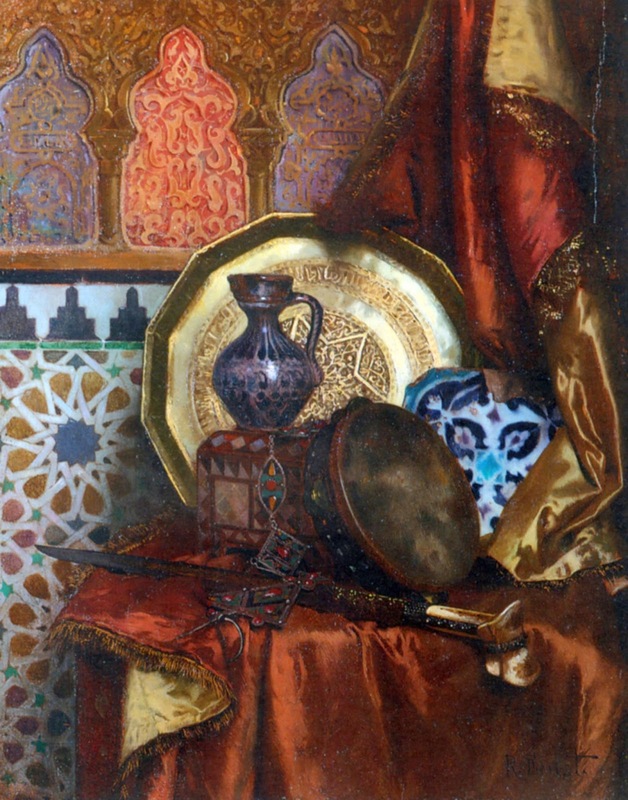 She died at Granada during Yusuf’s twenty-one-year reign, a period of intellectual and architectural brilliance, which sustained itself through the reign of Yusuf’s eldest son Muhammad V.
Fatima’s descendants continued to rule Granada for more than one hundred and fifty years after her demise. The last Sultan of Granada, Muhammad XII, surrendered to King Ferdinand of Aragon and Queen Isabella of Castile in Rabi al-Awwal 897 AH or January AD 1492, ending seven hundred years of Muslim rule in Spain. The ancient Egyptians thought that speaking the name of the dead made them live again and granted them the honor of being remembered for eternity. I hope interest in Fatima's world will continue through new research into the Alhambra's past, the rulers of the Nasrid Dynasty and in the pages of Sultana and Sultana's Legacy. I don’t know how Fatima viewed the murder of her father Muhammad II and her personal relationship with her brothers Muhammad III and Abu’l-Juyush Nasr, or how she interpreted her husband Faraj’s endearing loyalty to Muhammad III and her Ismail’s coup against Abu’l-Juyush Nasr. The losses of each man must have affected her in some manner lost to history. Note: All images are mine or derived from public domain artwork.